Katie Walsh Gorgeous and naturalistic shots by cinematographer by Autumn Durald speak volumes, and the atonal, foreboding score by Nathan Halpern creates a sense of dread, though they are ultimately squandered in an underdeveloped story. Simon Abrams "One and Two" never feels as momentous or as angsty as a good story about moody teenagers should, and that's mostly because the film lacks a menacing parental adversary. Daniel M. Gold The film tries, unsuccessfully, to walk the same eerie, atmospheric trail as "The Village" by M. Night Shyamalan, or any number of Stephen King works. David Ehrlich Sally Draper leaps to the big screen in this slight, sumptuous drama about teleporting teens. 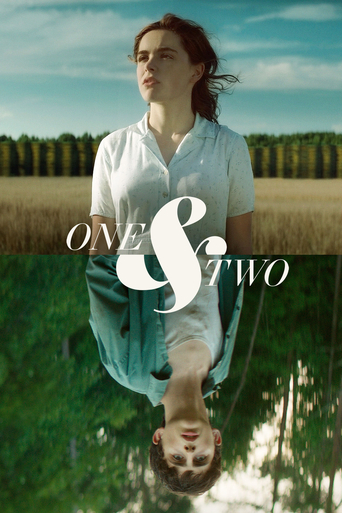 Harry Windsor Disparate influences percolate but never quite cohere in Andrew Droz Palermo's first narrative feature One & Two, which while atmospheric and beautifully lensed ends up being a touch too elliptical for its own good. Peter Debruge There are simply too many loose ends to distract us, and too much empty air in which audiences can't help but poke holes.